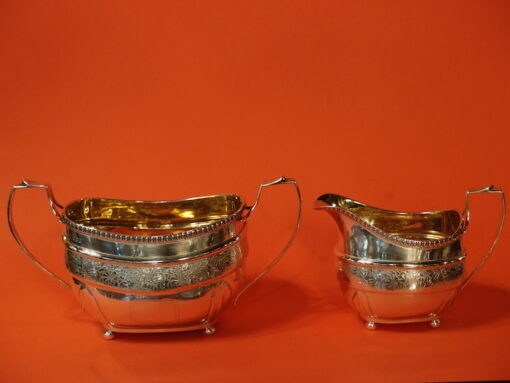 Home » Products » Silver, Bronzes, Ormolu » C1809 George III Sterling Silver Creamer and Sugar Bowl. $950.00 the set of 2 pieces. 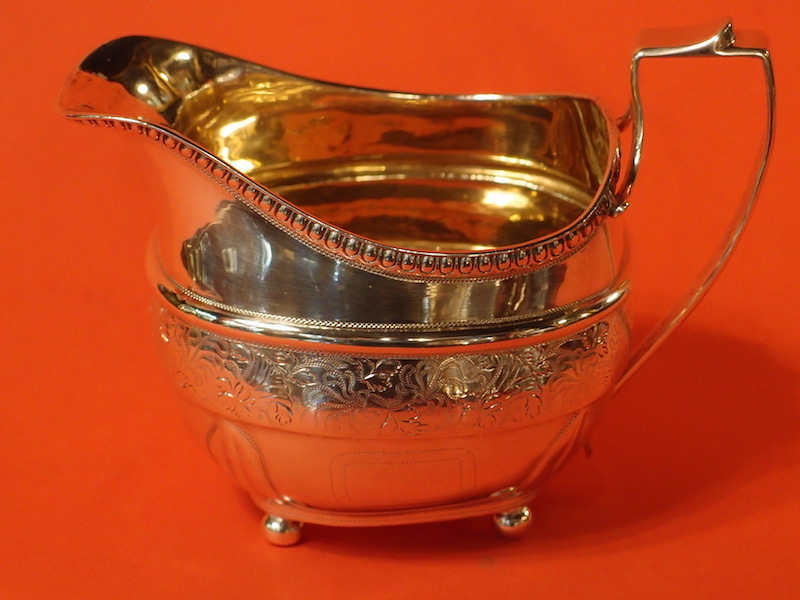 A George III period, cream and sugar, hallmarked for London, 1809, with a total weight of 420 grams. The sucrier is 21 cm wide and 11 cm tall. They make a good match for the Georgian silver teapot we also listed on this site.